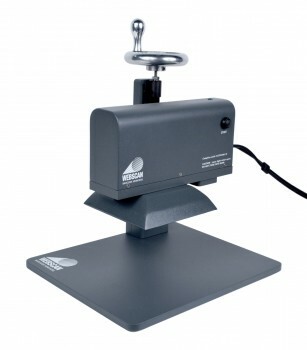 How to select the right Webscan verifier model in just a few simple questions. 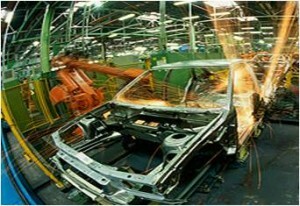 The Automotive Industry Action Group (AIAG) founded the Barcoding Project Team in 1981 to develop automotive industry standards for barcodes. Ever since then, barcodes have been instrumental in the supply chain standards for the industry. In 1984, AIAG adopted the Code 39 alphanumeric symbology and published the first industry-wide barcode standards: Barcode Symbology (B-1) and Shipping/Parts Identification Label (B-3). Since the initial founding of the Barcoding Project Team, other guidelines for suppliers to the automotive industry have been created. These include industry-wide and company specific initiatives. A few of the the industry standards are listed below. This is General Motors global label specification. Webscan has been certified for compliance to this labeling standard. The TruCheck Optima and TruCheck Omni verifies the PDF 417 symbols incorporated on these shipping labels. This is a 2D Direct Parts Marking Guideline for the automotive industry. Webscan was an instrumental contributor to the development of this document. The guideline uses AIM DPM standards for verifying the quality of the barcode. 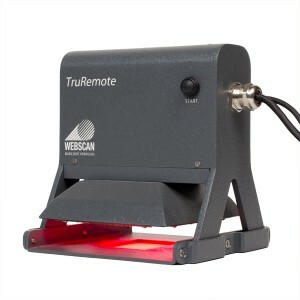 The TruCheck 2D USB DPM or TruCheck FlexHite verifier is ideal for this application.